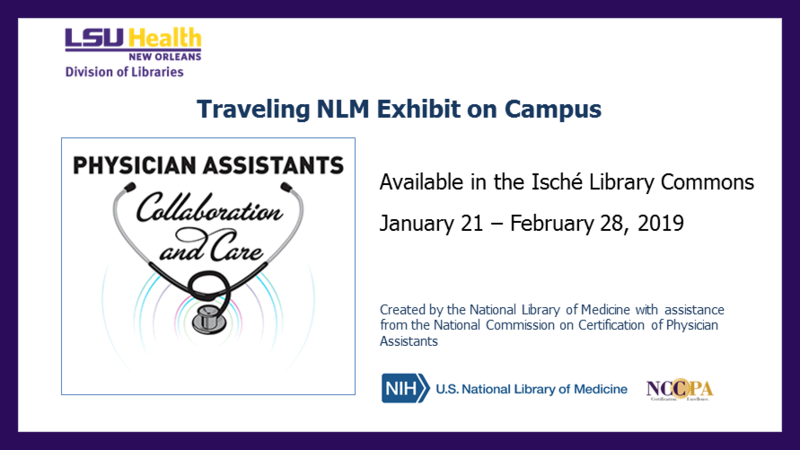 NLM exhibit “Physician Assistants” now at Isché Library! The National Library of Medicine’s traveling exhibit “Physician Assistants: Collaboration and Care” is now at the LSUHSC-NO Isché Library. The display will be set up in the Library Commons on the third floor of the Resource Center until February 28. Physician Assistants are nationally certified professionals who evaluate, diagnose, treat, and care for patients, with physician supervision. 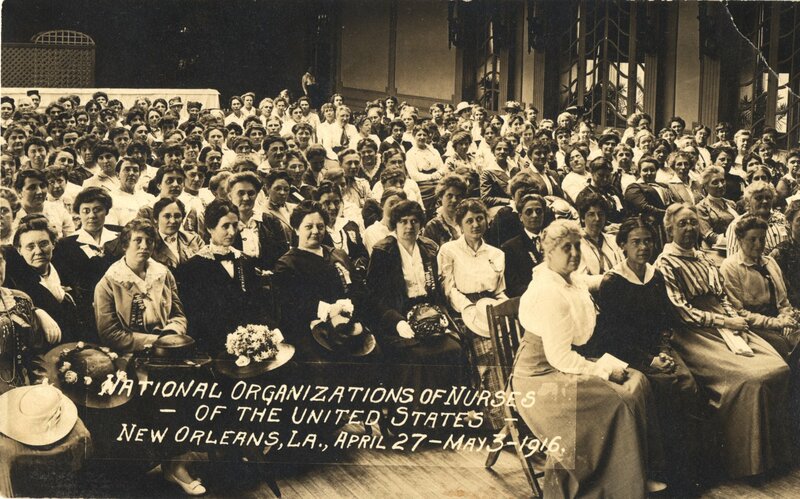 This exhibit covers the history of the PA profession, the profession’s emphasis on diversity, and the many ways in which PAs care for patients in the United States and across the globe. Helpful links and educational resources provided by the National Library of Medicine in conjunction with the exhibit include lesson plans for upper elementary and high school classes, a higher education module with instructor resources, and a bibliography of additional readings. Tags: library commons, Library News, NLM, NLM EXHIBIT, Physician Assistant | Allied Health, Library Commons, Library News, Physician Assistant | Permalink | Comments Off on NLM exhibit “Physician Assistants” now at Isché Library! 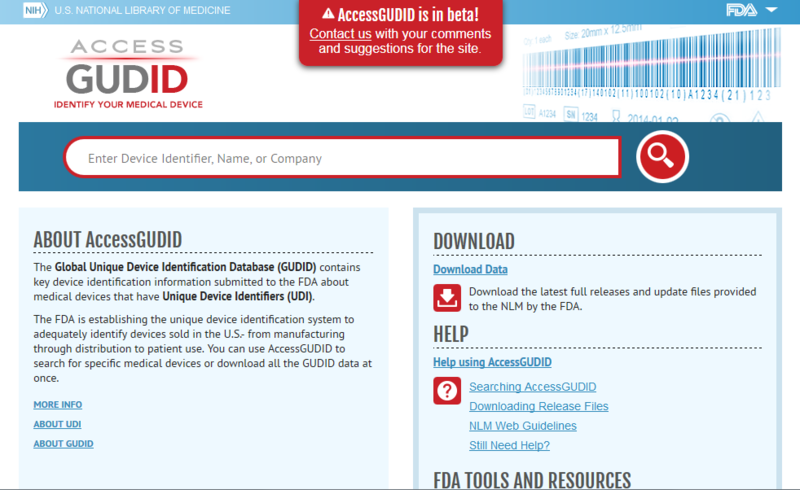 | Posted Monday, January 21, 2019 by Corder, Amy L.
The National Library of Medicine has launched a medical device database, AccessGUDID, currently in beta. Searching is by device name, identification number or manufacturer. 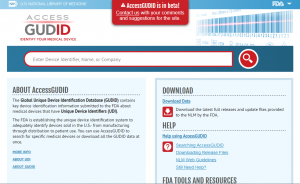 They are seeking input from users on ways to improve the database. Need a public domain image for a presentation? Good news, the National Library of Medicine is now partnering with Flickr as a new member of The Commons. 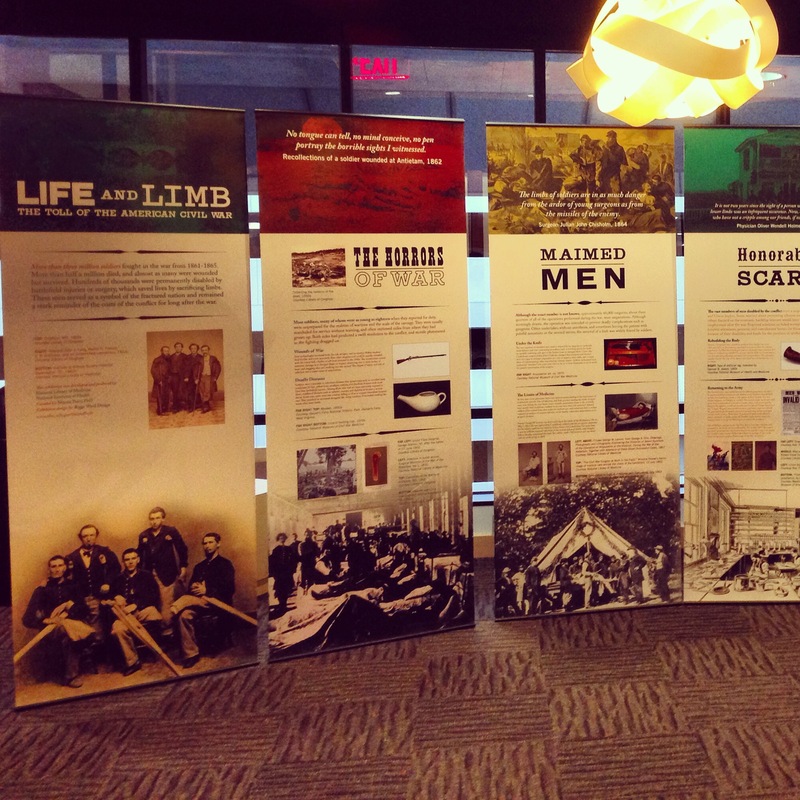 The LSUHSC Libraries are hosting an exhibition developed and produced by the National Library of Medicine. This exhibit was developed to commemorate the 150th anniversary of the American Civil War and the more than three million soldiers who fought in the war. Life and Limb: The Toll of the Civil War explores the experiences of disabled veterans, their role as symbols of the fractured nation and a stark reminder of the costs of the conflict. The perspectives of surgeons, physicians, and nurses are richly documented in the history of Civil War medicine, which highlights the heroism and brutality of battlefield operations and the challenges of caring for the wounded during wartime. Yet the experiences of injured soldiers during the conflict and in the years afterwards are less well-known. More than three million soldiers fought in the war from 1861-1865. More than half a million died, and almost as many were wounded but survived. Hundreds of thousands were permanently disabled by battlefield injuries or surgery, which saved lives by sacrificing limbs. In addition to the travelling exhibition, there is a display in the Library’s New Books section with supplemental material from our own collection on surgery, prosthetics and the Civil War. Some of the materials featured include books from our collection, journal articles that can be accessed through our catalog, photocopied materials from our old & rare collection, and links to resources available online. Check out the full Bibliography (with links!). 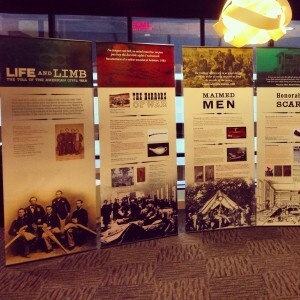 The Exhibit is available beginning August 4, 2014 at the Ische Library in the Learning Commons. 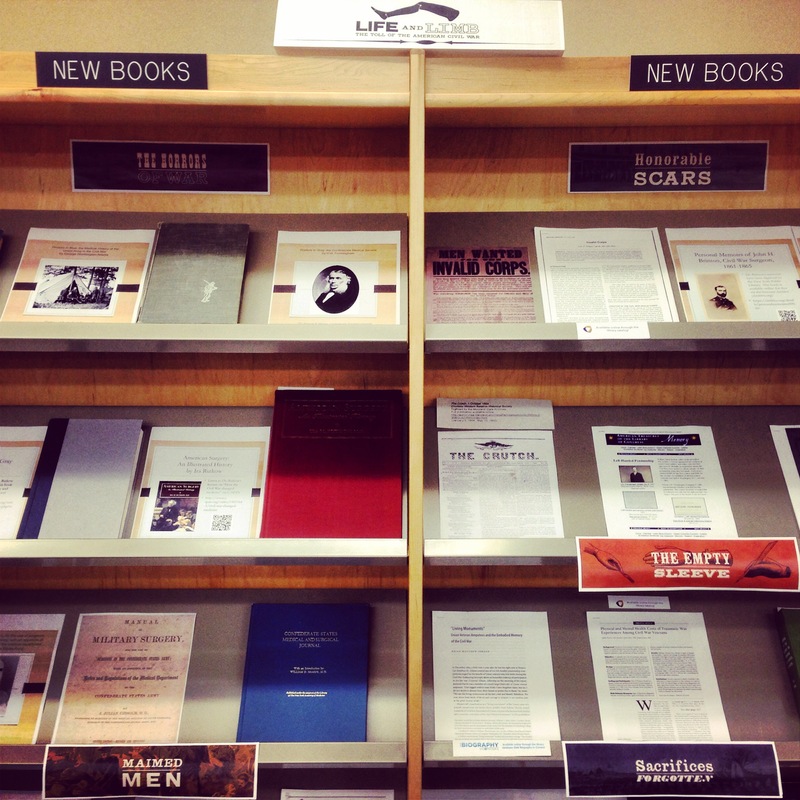 The supplementary display is on the New Books shelves next to the internal elevators. The display will move to the Dental Library on August 25 and will be available for viewing there until September 12. Tags: Civil War, NLM | Library Events, Library News | Permalink | Comments Off on Life and Limb: The Toll of the Civil War Library Exhibition | Posted Monday, August 4, 2014 by Brooks, Jessica P.
The National Library of Medicine houses the Michael Zwerdling Nursing Postcard Collection of nearly 2500 postcards, “published in the United States and internationally, depicting the nursing profession, the social history of nursing, the perception of nursing in various cultures, the role of military nurses, and other related themes.” The cards date from between 1893 and 2002. Approximately 600 of the postcards have been digitized by the Images from the History of Medicine section of the History of Medicine Division of NLM. Summer 2013 saw the launch of a new digital collection from the National Library of Medicine, Medical Movies on the Web. 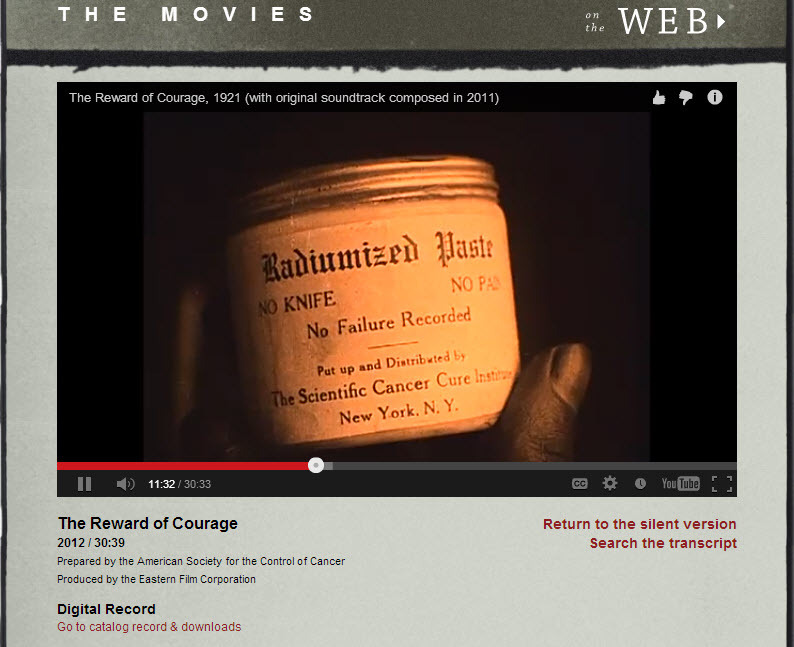 The first item added to this collection is the Reward of Courage which is a silent film produced by the American Society for the Control of Cancer (which would become the ?áAmerican Cancer Society). Read more about the film at Circulating Now, an informational website from the History of Medicine Division of NLM. It was always exciting to go digging around in your grandparent’s attic as a kid. You never know what you might find; old photos, love letters and toys, maybe a treasure map to lost pirate gold. Imagine if you got to dig around in all the old stuff the National Library of Medicine has laying around. Now you can catch a glimpse of their weird, wacky and wonderful collection. Hidden Treasure: The National Library of Medicine is a beautiful and fascinating new book. Check out a New York Times review or have a look yourself. The book is available in the Isch?® Library stacks and as an EBook online from NLM. Today is the 150th anniversary of the beginning of the American Civil War. 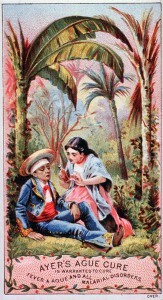 The war is significant to the history of medicine because of the advances made in medicine during the conflict. Also of significance are the institutions which were founded in the Civil War’s aftermath: the National Institutes of Health, the National Library of Medicine, and the Index Catalogue of the Surgeon-General’s Office, the pre-cursor to the modern MEDLINE.